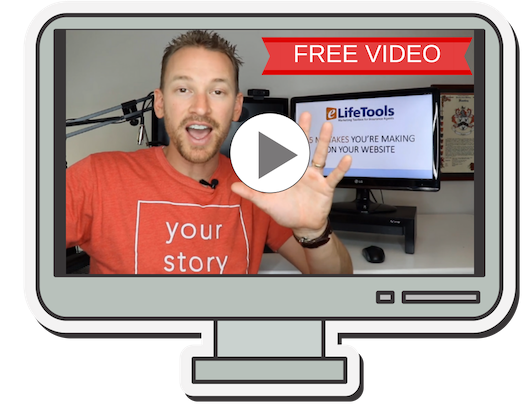 I’ve used dozens of tools over the years to build my sites and generate leads. Here are some of the agent resources I recommend most. Disclosure: some of the links below are affiliate links, meaning if you buy something, I’ll earn a commission at no additional cost to you. I only recommend products and services that I’ve used and have worked for me. These are the 4 tools that, in my opinion… an insurance marketer can’t live without. I find myself recommending these over and over again to agents. Thesis Theme for WordPress – The reason I use Thesis is because is has a nicely sized “multi-media box” in the right hand column where my Compulife quote form fits perfectly. I tried other Themes, and none of them looked quite right. Thesis is also awesome for SEO and getting found by Google. SteveAnderson – Steve is both an insurance agent and tech geek. 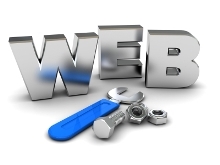 If you want your agency to run more smoothly with the use of tech tools, his site is the #1 resource. Siteground – Your first stop is to register a domain name for your website and get hosting. Both are really cheap at Siteground, typically around $7-8 bucks per month for hosting. They also have Awesome support. I probably call once per month and always get a hold of a live person within a minute. They’ll walk you through installing WordPress on your site and the Thesis Theme (see below). SellTermLife.com – My buddy, Jeff Root, who is the owner of www.rootfin.com, is a life insurance agent and lead generating master. 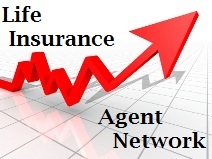 Lots of good tips on his site for insurance agents. InsuranceSplash – John Carroll has a ton great ideas on how to promote and get traffic to your insurance site. He’s also one of the friendliest guys you’ll meet. Also check out his course, SEO60, which I purchased myself. Very high quality information. Quicksprout – Just spend 5 minutes on my buddy, Neil Patel’s site, and you’ll be hooked. So much awesome traffic and optimization tools. The Sales Lion – Marcus Sheridan is a genuinely awesome guy who shares no BS strategies that will get you more traffic and sales. Period. Smart Passive Income with Pat Flynn – For anything I’ve left out about creating and building a website, Pat is sure to have info about it. He’s a friend (and client) of mine who is also here in San Diego, CA. On Page Optimization – http://moz.com/blog/visual-guide-to-keyword-targeting-onpage-optimization – This is the only guide you’ll ever need on this, and honestly, good on page SEO is 80% of the game in getting free traffic, so definitely check this guide out and make sure you’re optimizing your pages correctly. Compulife Quote Form – If you’re getting traffic to your site, you have to convert that traffic to a lead. The best way to do this is to offer instant quotes in exchange for their name, phone #, and email. My quotes on IBBC are powered by Compulife, who doesn’t have a particularly attractive form, but it converts very well, and if you buy CL through my link, I give a couple awesome bonuses. A free, customized upgrade from the dull standard form, plus instructions on updating. For its most basic look, see the quote form at www.highrisklifeinsuranceagency.com. VAMdB Insurance CRM– The best contact management system on the planet for life insurance agents. Just go to the link and watch some of the tutorial videos. It has built in quoting, can send the quotes right inside an email, and awesome reporting. Click here to learn how I increased my sales by 75% using VAMdB. The basic subscription is free. NIPR – You can use this link to get licensed in other states. Splasheo – They did my ELT video intro. Very clean and profession. Upwork.com – find a contractor to do just about anything you need from graphic design, illustrations, article writing, SEO, you name it, and most of the contractors are very affordable as they are overseas. Phrase Express Pro – Saves you time by auto completing your sentences and using “hotkeys” for all your most common expressions. – Free Site Review – I offer a 30 minute site review in exchange for a link to my site. – Mentorship/Consulting – Want to build a site that generates 100+ leads per month? I offer consulting on an hourly and monthly basis. …Visit my “Hire Me” page for more details. Agent Webinar – Host an “online lead generation” webinar for your agents, and hire me to teach the ABC’s of getting started. I started off as an agent in 2004 and STRUGGLED for 4 years, trying to market with mail campaigns, networking groups, referral programs. Nothing worked. That was until Dec. 2009 when I paid $500 to my friend, Glenn Cooke, to help me build www.InsuranceBlogByChris.com. He taught me some of the basics on writing articles and how to get found in a Google search. Tweet me @mrchrishuntley if you have any questions.